Tips for Longer and Thicker Eyelashes - Leila D.
Although there is a huge choice of products for the care of eyelashes,let's not forget about the home remedies. 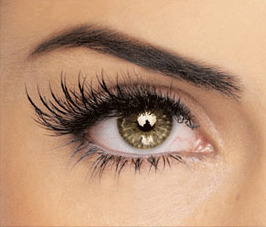 Rub olive oil on your lashes,wait five minutes and then rinse it off with lukewarm water. Repeat this for one month and you will start to grow new and stronger lashes. Apply Vaseline on your lashes before bedtime,rinse it off in the morning. Vitamin E is very good for the lashes because it prevents them from falling out.It is used the same way like Vaseline and you can find it in any drug store.